When you have a gap between the financial aid you have been offered and what you can afford to pay, there are options that can minimize or eliminate reliance on student or parent loans. Scholarships are one of the most effective ways to reduce your college costs. 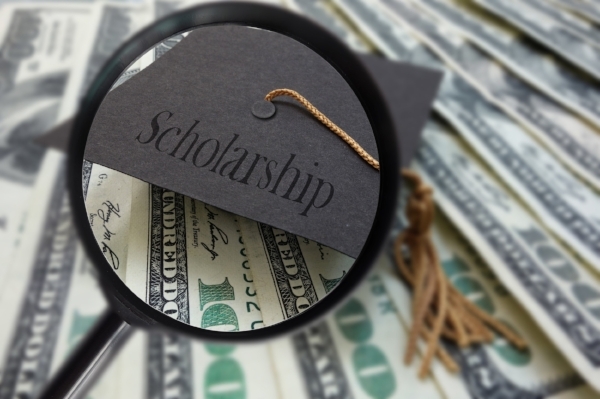 Colleges and universities offer their own scholarships, however, there are numerous awards and grants available that diverse students can qualify for. Each school develops their own policies regarding outside scholarships, and how this is applied to your financial aid package. You’ll need to research your school’s individual policies to ascertain how this will impact you, but generally speaking, most schools have policies that apply these dollars favorably. If you have unmet need, the dollars would first be applied there. So in the scenarios where the school was unable to fully meet your financial need, these scholarships can help fill in that gap, potentially helping you attend a college that could not fully assist you financially. If your full need has already been met, many schools will next look at reducing self-help aid such as student loans, before reducing gift aid such as grants and scholarships. This greatly benefits you by keeping your student debt to a minimum. There are some schools which will apply a portion of outside scholarships against self-help and a portion against gift aid, and some that will apply it to gift aid first. This can be especially true when the award is a renewable one, versus a one-time deal. Have you signed up for Scholarship Owl yet? Fill out one form and get automatically applied for scholarships you are eligible for. However, even if the college you wish to attend applies outside awards against grant aid first, you can still use this strategy to your advantage, depending on the amount of outside scholarships you bring. An amount greater than need-based grants the school has awarded you will mean the college must apply a portion of it against self-help aid. And, depending on how much money you are bringing in, you might be able to work with the college to modify their policy. Brush up on your negotiation skills, and then work with the financial aid office on adjusting dollars against loans instead of grants. You can never hear the word ‘yes’ if you never ask! 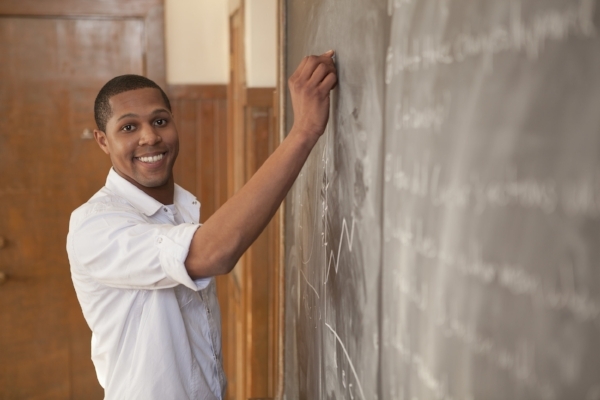 Take AP classes in high school to apply the credits toward your college degree. Some students can shave an entire semester or more off of their time to degree! Do you have transferrable AP classes? How many? Does the college you want to attend accept online courses from accredited sources as transferrable credits? Can you get started on a couple now? By whittling away at required core courses, you may be able to reduce the overall length of time you spend at the college of your choice. Some students have so many credits compiled that they start college in their ‘freshman’ year as a sophomore! Just make sure you are working with the college you wish to enroll at in order to fully understand what can be transferred in, and how. Attending a community college for a year or two before transfering to a four-year school can signficantly reduce your cost of a bachelor's degree. Look for schools that have transfer articulation agreements for the easiest time transferring credits. Many colleges and universities will have transfer or articulation agreements with other schools in the community or in the state. This should be an option to consider from a financial perspective, especially when your family has a set dollar amount budgeted that is lower than the Expected Family Contribution (EFC), increasing the risk of having to borrow money. Attending a two-year community college, especially, is an often overlooked and valuable option to consider. The savings to attend a local college for your first two years, particularly if you are living at home and working a part-time job, can significantly boost the amount of money you have available to spend on your final years of undergraduate schooling. The effectiveness of this strategy varies greatly depending on the policies of the school you wish to transfer in to. College admissions counselors, if pressed, will tell you that four-year colleges are always looking for transfer students to fill “empty slots” resulting from freshmen and sophomore students who have either quit or transferred out. However, the amount of financial aid these college have available for transfer students varies greatly. There are colleges that are need-blind and meet 100% of full need for their transfer students as well as their freshman applicants. These tend to be the most selective and well-endowed schools. Other top schools pledge to meet full-need but become need-aware for students who transfer in, meaning a student’s ability to pay will be considered as part of the admission decision. For both of these types of colleges, the student has a great opportunity to continue building on their high school record by turning in a strong performance at another college before applying for transfer. This strategy can help you get a very good deal at a college that you would have considered a “stretch” school when you were first applying. At other colleges, the amount of gift aid that the school sets aside for incoming freshmen is not available to transfer students. Will there likely be some merit and grant aid available to transfers at these schools? Yes. But the amount may be smaller and the competition more fierce. It’s important to crunch the numbers and map this strategy out, so you know that this strategy will work for you, depending on the college or university you wish to transfer in to. Taking time off between high school and college, otherwise known as a gap year, can be extremely beneficial to you in allowing you more like and work experience. However it can affect your financial aid. Discuss any plans with your chosen college. A gap year means postponing entering college by one year so that you can save up additional money to help defray college costs. There are many pros and cons to taking a year off, including potential financial benefits. If this is something you are considering after having been accepted, it’s very important that you ask the college you want to enter what their policies are regarding this. Some colleges fully embrace gap years, and work with you to start school one year later with your financial aid package pretty much intact, including gift aid, such as scholarships and grants. Others may let you postpone entrance, but cannot guarantee some of your aid, or withdraw it pending another review closer to your start date. Now that you are armed with knowledge, rest assured that you can and should work with each school to get the best ‘discounted’ price. Once you have a few financial aid offers on the table, it will be up to you and your family to decide which award package or path ultimately works best for your particular circumstances. Do you know the secrets to appealing your financial aid offer? Download this free tip sheet that includes a financial aid appeal letter.